Wayne Shellabarger lives and works in San Francisco. He is currently listening to a Bo Diddley record. 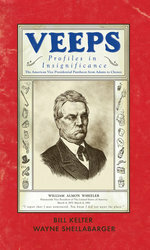 His political collaboration, Veeps, with Bill Kelter was published by Top Shelf in 2008.